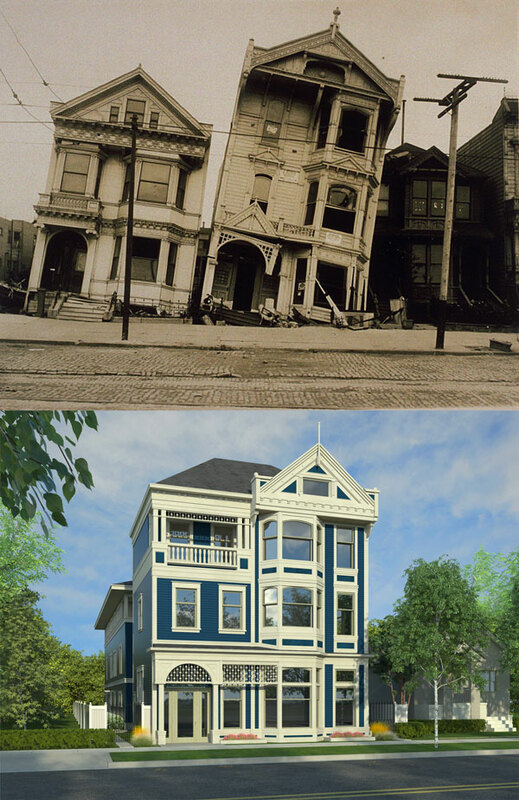 The Christianson Development has created its most historically inspired building design yet, provoked from the intricacy and craftsmanship of the famous tilted Victorian homes photographed following the 1906 earthquake. Now under construction at 5414 Delridge Way SW, the design achieves two primary architectural objectives. It represents a genuine reproduction of a historical building that contrasts the current popularity of plain, masculine, and boxy structures. It also synthesizes typically disparate commercial and residential concepts into a unified design between all three floors, with complex and colorful details, and feminine and masculine shapes. The intention is to invoke passerbys to reflect upon our connections with artisans of past eras and to celebrate design. In the experience of remembering the past, architecture has the possibility of inspiring a community to grow and change. 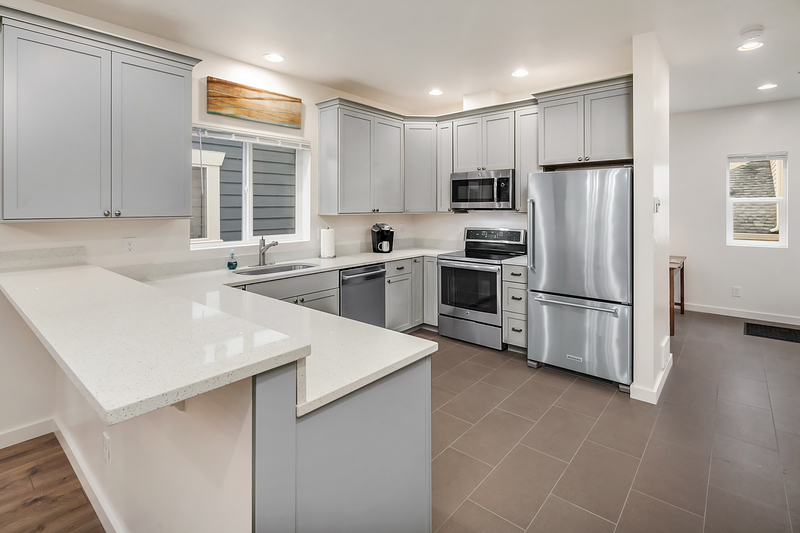 Located in West Seattle, The Christianson Development includes luxury three and four bedroom townhome apartments, designed to emphasize construction quality, spaciousness, privacy and sound control. Our management philosophy is to be responsive, reachable and aware, including prompt repairs. Call today for a tour and begin renting from reliable professionals. 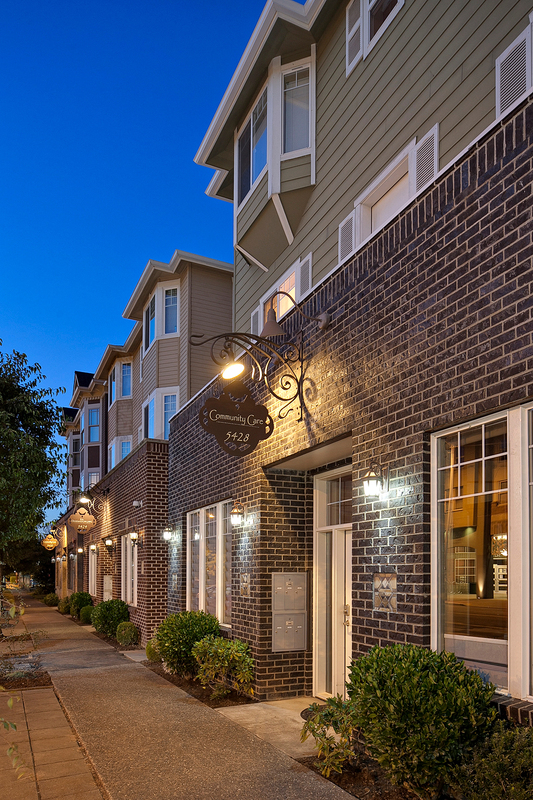 The Christianson Development is conveniently located on the 120 bus line and only 10 minutes to downtown and freeways. Tenants enjoy a protected, community feeling and neighborhood amenities such as Camp Long, Longfellow Creek, West Seattle Golf Course, Delridge play fields and skate park, South Seattle Community College, Delridge Public Library, Youngstown Cultural Arts Center, and several restaurants and coffee shops.